Italian rockers Badmotorfinger are back with a new EP entitled Heroes, which will be released on September 27, 2016. “Italian heavy rockers Badmotorfinger will release their new EP, “Heroes“, on September 27th, 2016, via logic(il)logic Records. 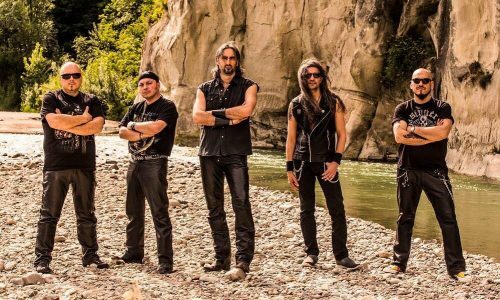 “Heroes” has been realized to sanction the incoming of Sange as BMF singer in 2015”, says guitarist Federico ‘HeavyRico’ Mengoli. “The relationship between me and Sange has always been about friendship and artistic collaboration as well continued in the years even when we were involved in different musical situations. Now, with both of us as a part of Badmotorfinger, this synergy can be totally perceived. But now it’s time to talk about the product of our own sweat. In this CD you’ll find three brand new songs and three tracks taken from our first album (“It’s Not The End”), carefully reworked, re-recorded and rearranged. The three new songs are definitely different from each other. “Hidden Heroes”: this new song opens the EP, with a granitic mid-tempo. It’s focused on a very energic riff, very wild and rousing. This song is inspired by the heroes that our world doesn’t celebrate: our own parents and how their actions perception changes during their sons’ life, especially when the fear to lose them becomes concrete. We are very fond of this song, that’s why we have realized our first videoclip to on its notes. “Needle In My Vein”: this is an heavy song with shades of old school thrash. It’s about all the thoughts that crowd in your mind when you are entering an operating room and you’re hoping to reawaken after the surgery. “Badmotorfinger”: it’s definitely the most hard rock style song in the album. It’s got an attractive riff and happy-go-lucky lyrics that allow us to be less serious. This song expresses our desire to play live, involving people to celebrate the good old rock. Let’s talk about the three songs from the previous album “It’s Not The End”. “No Second Chance”: hard&heavy song version 2.0 with Sange at vocals. Also the other band guys re-entered the recording studio to give a new structure to this song, bringing the natural changes that necessarily are coming in time. “Afterlife” becomes here a thrilling acoustic version, with a duet between Sange and Viviana ‘LaViv’ Cappelli. We’ll never stop to say that she’s the sixth Badmotorfinger’s member! “Rebel”, in acoustic version, concludes the CD. It’s an essential, spontaneous and pure rock’n’roll song, painted with country shades. Of course we are proud to present our “Heroes”, so… turn up the volume and enjoy it!”. 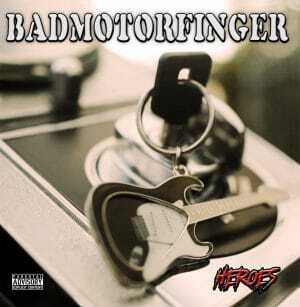 Waiting for Badmotorfinger’s videoclip “Hidden Heroes”… Coming soon!